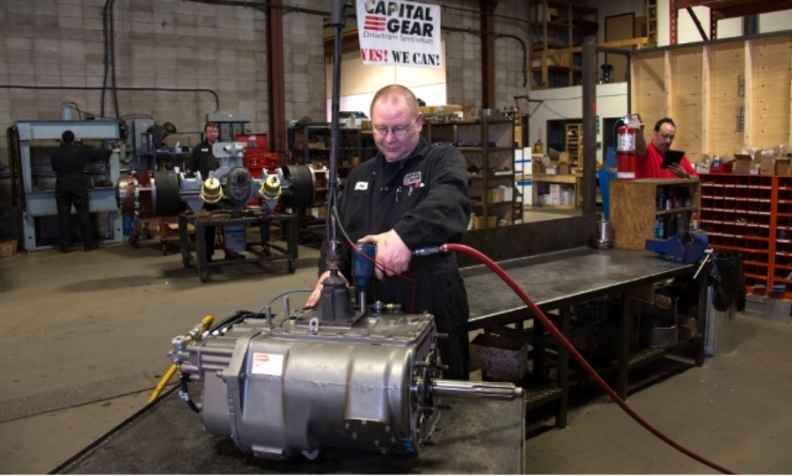 Capital Gear employs 28 people in Edmonton and specializes in rebuilding transmissions for heavy trucks. Remanufactured parts are big business in the auto industry, but much of that business is now offshore. Canadian companies rebuild automotive parts, but they’re mainly small- to mid-sized businesses. The competition for cheaper pricing is just too intense for a large-scale Canadian industry to succeed. “In terms of our business, which is mostly alternators and starters, there’s hardly any left in Canada,” said Mike Kelly, sales and marketing manager for D&V Electronics. The Woodbridge, Ont., company makes test equipment used by remanufacturers in 90 countries. Those cores are then rebuilt with new materials where needed, sometimes with retooled parts built to a higher standard than the original, but sometimes with lower-quality materials. In the remanufacturing business, trust and a good relationship between supplier and distributor is everything, and the demand for parts is growing. “The average alternator or starter lasts about eight years, and eight or nine years ago, the car business in North America really sucked, so [remanufacturing] has been going through a very slow spot,” said Kelly. One of the largest remanfacturing companies on the continent, Philadelphia-based Cardone, opened distribution warehouses in Toronto and Edmonton in the last five years. Spokesman Kevin Feeley said Cardone has seen “significant growth” in its Canadian supply business. It sells automotive parts to companies such as Lordco, Uni-Select, Best Buy, Carquest and Canadian Tire, of which “a significant portion are remanufactured in the United States,” he said. In 2016, Cardone remanufactured more than 63,000 metric tonnes of discard- ed or non-useable auto parts and recycled more than 18,000 tonnes of scrap metal. It also recycled almost 600,000 litres of waste oil. Smaller Canadian remanufacturers have found their own niche as trusted suppliers to smaller businesses. “In the last five or six years, we’ve seen growth in double digits year over year,” said Jerry Sayegh, vice-president of operations for Capital Gear. The company employs 28 people in Edmonton and specializes in rebuilding transmissions for heavy trucks. It also sells remanufactured drivetrain parts through its website to customers in 24 countries. John Stuart is in its 71st year of business and no longer provides services for regular automotive drivers. Instead, it has found a niche. Cardone estimates its customers for remanufactured parts save up to 40 per cent of the cost of buying new parts. He also estimates its remanufacturing processes use about 20 per cent of the energy of manufacturing new parts from scratch, equivalent to 16 mil- lion barrels of oil. In the business of remanufacturing, estimated in 2011 to be worth US $43 billion in North America, automotive parts rank in third place after aerospace parts and heavy-duty off-road parts.